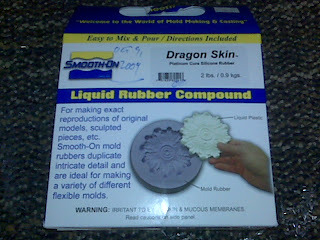 Smooth-On "Dragon Skin" two part silicon product. Material mixed up with a few drops of pink added. 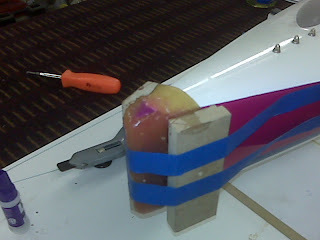 The pink silicon in the mold on the boat. I went to New Orleans today to pick up some of the silicon product used to make the bow bumper. 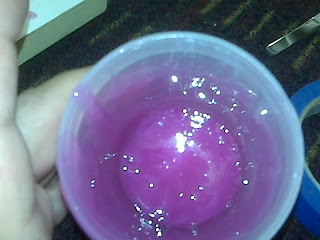 Then went by the boat yard and mixed up some of this stuff and added a few drops of pink and then poured it in to the mold. I also made an attempt to make a colored drain plug too, will see how this turns out tomorrow.